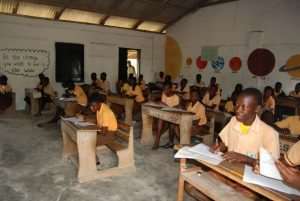 The Mfantseman Municipal Director of the National Commission for Civic Education (NCCE), Judith Adomako-Ofosua, has called on the Government to consider including the study of the constitution and corruption as core subjects in basic schools. This will help inculcate in the youth the spirit of patriotism and abhorrence for wrongdoing to instil a high sense of nationalism and responsibility. It brought together chiefs, opinion leaders and community members to discuss community involvement in identifying essential projects and how they could support government through the district assembly to address those needs. Mrs. Adomako-Ofosua acknowledged the fact that topics on the constitution and corruption were efficiently covered in citizenship education and social studies in schools, but the impact could be better if they were stand-alone subjects. Similarly, she advocated that case studies of convicted corrupt individuals, politicians and enterprises, as well as organisations, should be made available in textbooks of Corruption Studies so that it does not become an academic exercise but practical and fight to stem it. Other participants were disappointed that since the independence era there had not been the strong political will to fight corruption and pointed out that successive governments have proposed paradigms shifts to check corruption but the same politicians leave office with trails of corruption scandals. They stated that the crusade against corruption has only become partisan political campaign tools for political parties only to deceive the public and asked that it was depoliticised for offenders to be punished to serve as a deterrent to others.